Don’t miss out! Our locations are only open a few times a year during our sale dates. 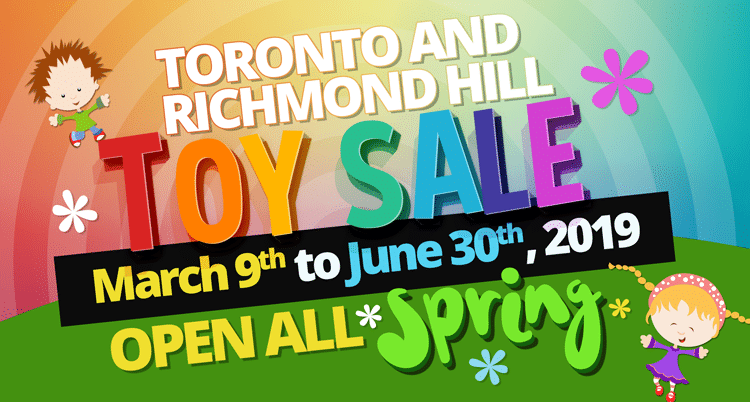 We welcome you to come early, and shop for the best toy deals in Canada. Why are our stores only open on select dates? That’s how we keep our prices the lowest of any toy store in Toronto. We scout out the best deals on popular kids toys, and then we open our doors to offer those discounts to you. Of course, that means that when our products sell out, we’re all out of them. Because of that, you should get to our stores when they’re open so you don’t miss these fantastic deals. Great service with prompt emails about shipping and fast delivery. Good prices too.